This shot was taken during a student protest outside a venue hosting the “Miss University” beauty Pageant. 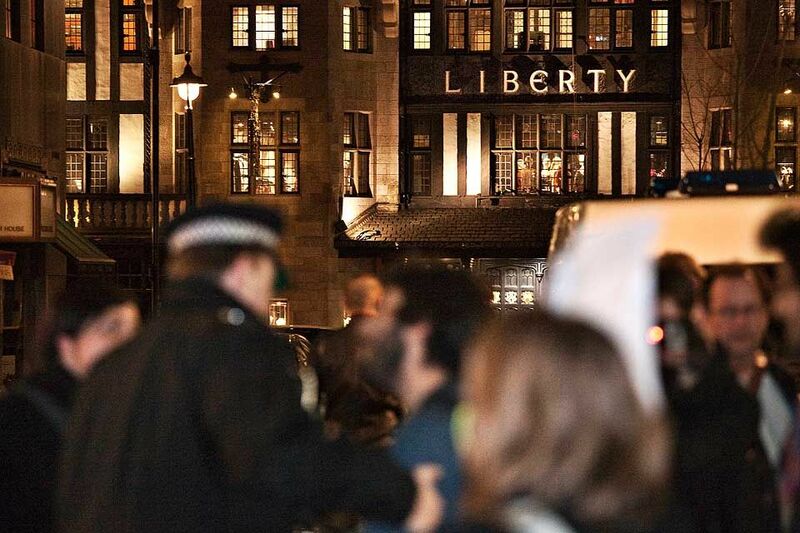 I loved the interplay between the protester about to be arrested and the word ‘Liberty’. Not your usual picture of the famous London department store! This one makes a great fine art print and I’ve produced it in black and white too for an even gritty feel. Visit the print sales page for more or get in touch direct. This entry was posted in Story behind the shot and tagged London.